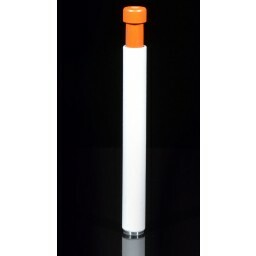 The Tartan Coral - 10” Tube With Silver Fumed Ice Catcher Handle -The Greatest Online Smoke Shop! Unique wrapped and raked design on the base. Glass pendant with trippy coral design. 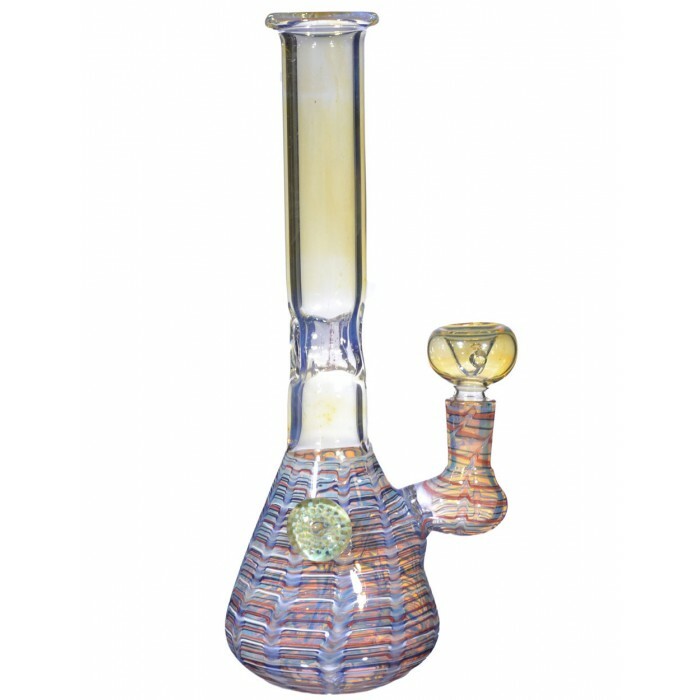 Silver fumed ice catcher that doubles as convenient handle. The female joint on the water pipe size is 14mm. 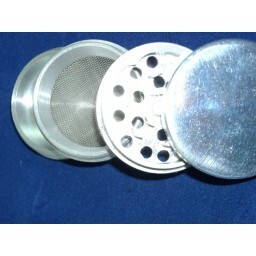 Includes a 14mm male bowl. 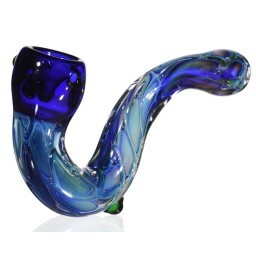 This water pipe’s unique design and changing color schemes give it a wavy personality that makes that’ll make it a standout in any collection. It has a sturdy 3” base with a really cool plaid, blue and red, tartan design that works it’s way into the body and neck. The color scheme oozes away into a yellow hue that eventually changes into blue right when it hits the ice catcher. 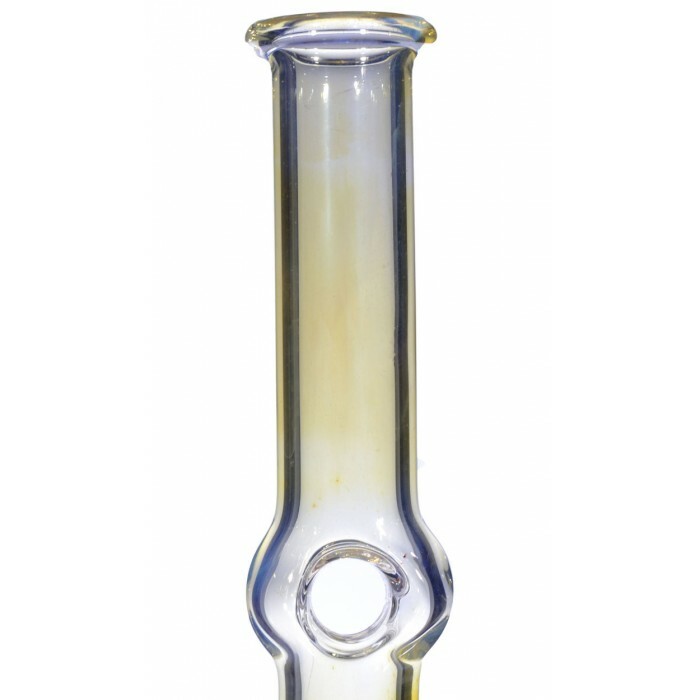 The neck is designed with a small hole, or handle, that also doubles as an ice catcher. 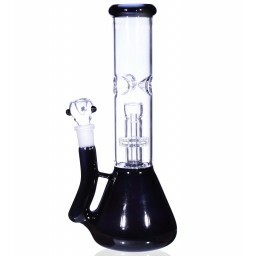 The ice catcher helps cool the smoke as it makes it’s way up the neck to give you a smoother more enjoyable experience. Fashion and function. 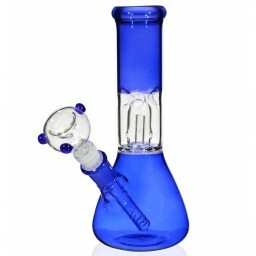 This ice catcher is also silver fumed, so as you smoke the waterpipe it will gain more personality and change colors to into a deeper, darker blue. It’s a unique touch that’ll nicely complement the wrapped and raked design on the base and make it stand out even more. 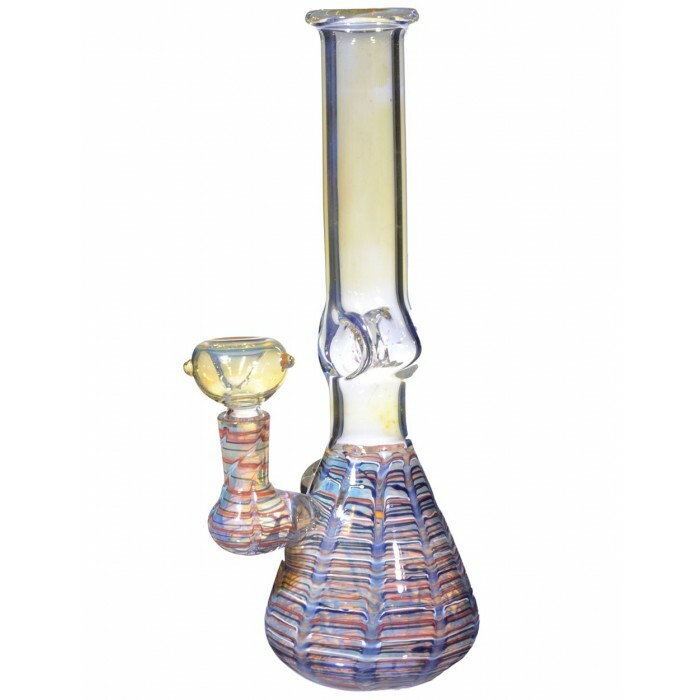 Not to mention it also has a dope glass pendant blown into the side of the base with a heady, brain looking design in it. 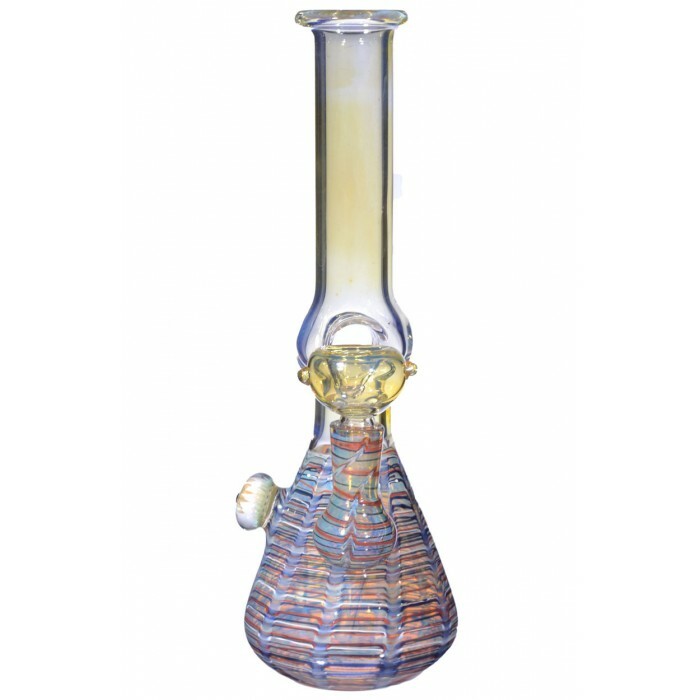 This colorful, trippy piece is a perfect balance of creativity and function and a nice addition to any collection. 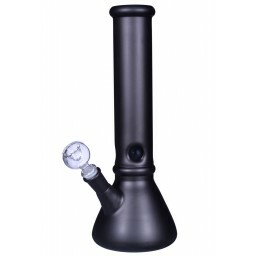 This water pipe’s female join is 14mm and it comes with a 14mm male dry herb bowl.